Citi and its predecessors have had a presence in Ireland since 1965 and was one of the first foreign banks to open an office in the country. They offer a broad range of financial services and products in Ireland. These include cash management, derivatives, investor products, corporate finance, trade services, custody, trustee services, fund administration, transfer agency and shareholder services. The businesses operating in Ireland include treasury and trade solutions, securities and fund services, corporate and investment banking and capital markets. Dublin also has a Citi Service Centre, one of four in the EMEA region that services businesses in more than 52 countries. The first Citi Innovation Lab dedicated to research and development in the financial services industry is located in Dublin. 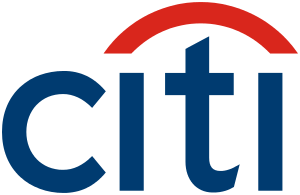 Citibank Europe plc is an Irish-regulated bank headquartered in Dublin and has a diversified product base covering 20 global and regional products. The bank operates branches in Poland, the Czech Republic, Hungary, Slovakia, Romania and Bulgaria.